Dominique White is the new Group Scout Leader of the 1st British Scouts in Madrid since June 2018. 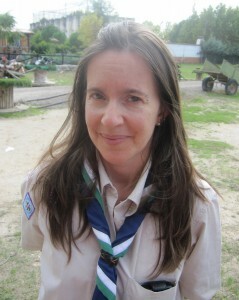 1st Madrid’s Group Scout Leader (GSL), Dominique White, joined the troop in 2013 as Assistant Beaver Leader, becoming Beaver Leader in 2015. Over the past five years she has become a First Responder, earned her wood badge, gained a Nights Away Permit for residential and campsite trips and taken 14 Scouts and Explorers on an international trip. 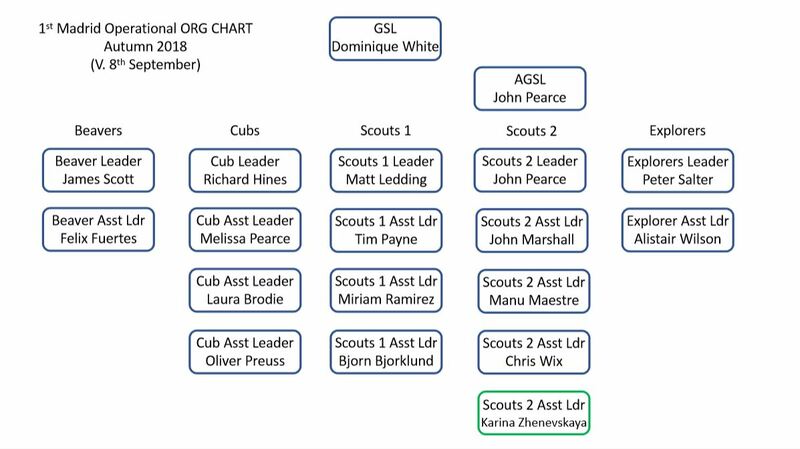 Dominique became Group Scout Leader in July 2018, thus joining Assistant Group Scout Leader John Pearce and the rest of the dedicated Executive Committee who diligently run 1st Madrid as a registered charitable association in Spain – a legacy we must thank outgoing GSL Alan Weinberg for. Read this interview and look at this photo gallery for more particulars! BEAVERS: Beaver Scouts are the youngest section of the Scouting family. Their activities are based around making things, outdoor activities, singing, playing games, going out on visits, investigating nature, listening to stories, learning how to be safe and most importantly, making new friends. CUBS: Cubs is the second section of the Scouting movement, originally started in 1916 for younger brothers who wanted a ‘look-in’. SCOUTS: Scouts are the third section of the Scouting movement. From the first experimental camp for 20 boys in 1907, the movement now has an estimated 28 million members worldwide. EXPLORERS: Explorer Scouts are young people aged between 14 and 18 years old. They make up the fourth Section of the Scouting family. They are supported by adult volunteers, with as much decision-making by young people as possible.